Another one in the books! A Lilly Pulitzer After Party Sale that is. I can't believe that a few short years ago I had no Lilly in my closet. I don't even know if I really knew what Lilly was all about! For my wallet that is an amazing thing, but for my heart that just hurts. I have found so much love and friendship through Lilly Pulitzer! I know that sounds crazy but it is completely true! I went from 0 to #obsessed in a few short months but I am so happy I know what it means to be a Lilly girl and for those of you who purchased your first Lilly at today's sale - welcome to the family! I got one! Rompers always fly during the APS but there were actually quite a few to choose from this time around! 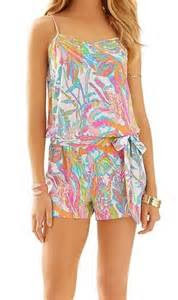 I got the Deanna romper (my absolute fav!) in Scuba to Cuba. That right there blew my planned budget. But the sale was SO good this year I could have spent *literally* over $1,000. Which is insane and I would never do. 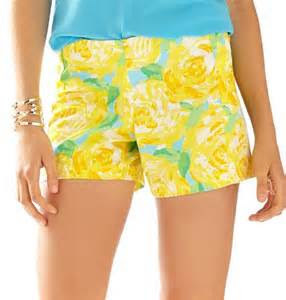 First of my two impulse buys are the gorgeous Dennie shorts in First Impressions. I love this print and can't wait to finally own a little bit of it! My final item is the Andie top in Back It Up. I never like to buy tops because I think they are expensive for what you get but I am trying to build my collection so I got this. 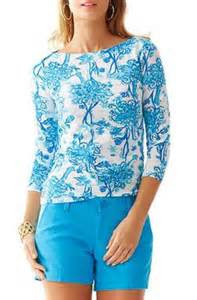 I don't have a ton of cold weather Lilly so I think this will be perfect for fall and winter! If I did go actually "crazy" here are a FEW of the things my heart desired but my head said "NO WAY!" I can not wait to style these things and share them with you all! Loving that romper and those shorts! I wish I could've gotten more from the sale this year.